Why The Mic? 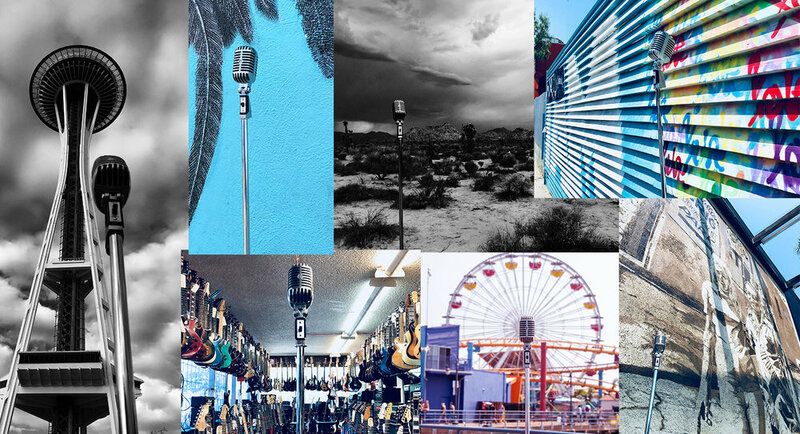 — THE NARRATIVE CO.
People often ask where we found The Mic. We picked it up for the ride at The Trading Musician second-hand shop in Seattle. Like all of us, it's on an ever-changing journey on the world’s stage. From Vancouver B.C., to Seattle, to Atlanta, to Venice Beach, to the Mojave Desert, it loves the open road and represents our modern opportunities to shine here, there, and everywhere.